A good brewery is no longer hard to find in New York City, if you're willing to leave Manhattan. 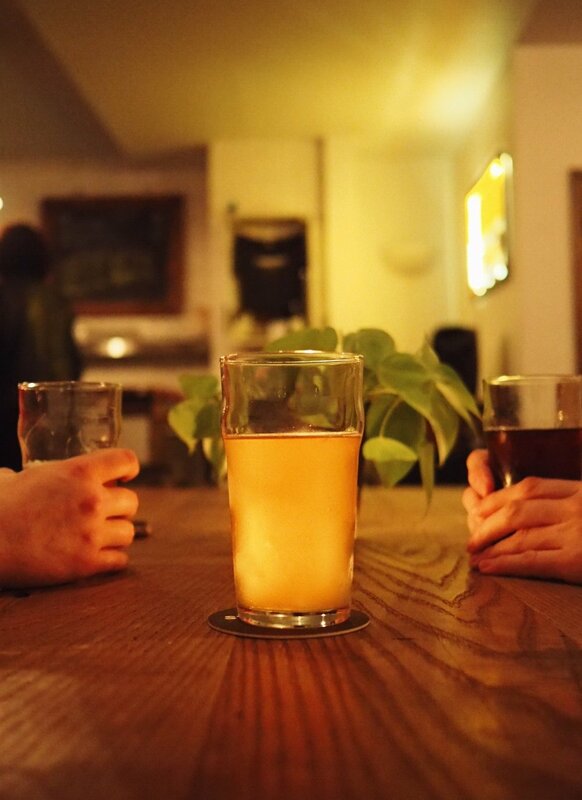 Within the last decade, dozens of small and not-so-small breweries have popped up within city limits - Brooklyn, Queens, and The Bronx are rife with spots to drink the day away under the guise of your "craft beer hobby" or "beer tourism." In fact, there are so many breweries to choose from in NYC that it can be a little bit overwhelming deciding which ones to hit, and in what order, especially if you're in town for a limited time. Well never fear! Here's a handy Beer Crawl map for South Brooklyn that'll get you to SIX (!) different breweries in the span of one Saturday, assuming you're ambitious and not afraid of a little walking and subway riding. If there's one thing I've learned about a beer crawl, it's that you start at the furthest place first. That way, you don't get too comfortable (or, "drunk") and decide to just stay put since it'll be easy to get home. No! You're far from home, and thus you must soldier on and knock down beers like enemies in your path to that satisfying couch nap you so heroically deserve! Five Boroughs Brewing opened in Sunset Park in August of 2017, making it relatively new on the scene, but this place is no baby. Large, open, and minimal (especially by New York City standards) Five Boroughs takes full advantage of the space available in their Industry City digs. Their year-round selection of brews consists of four core styles, but their seasonal releases are where their creativity really shines through. I had their raspberry gose back in September when it was on tap at Kings Beer Hall, and it proved to be delicious and memorable. Probably Brooklyn's most famous brewery, Other Half has set the standard for juicy, hazy East Coast IPAs, and the long lines for can releases prove it. It's best not to arrive too early on a Saturday, but just in case, your rounds at Lineup and Five Boroughs will have you ready to face any crowds. Get ready to dive into IPAs of all stripes and be surrounded by hopheads from all walks of life. At this point, you're probably at least a little bit hungry, if not completely ravenous. One of my favorite joints around Other Half is Abilene - it's casual, easy for groups, and totally affordable. The perfect bar grub you need to power on in your epic all-day beer quest. If you're looking for something a little fancier (but why?? ), Frankies Spuntino and Buttermilk Channel, also nearby, are popular hotspots, if you're willing to wait for a table. Or, if you can't bear the idea of breaking your chain of breweries, Folksbier typically serves tacos on Fridays, Saturdays, and Sundays! Which, while delicious, seems like an odd choice for a brewery that has such strong black forest vibes. But whatever! The beer here is exceptional and leans towards German and Belgian styles, with a wonderful rotating selection of fruity Berliner Weisses known as the Glow Up series. Wow, you're probably pretty hammered at this point, huh? FIVE breweries in one day? You must be mad. But hey, welcome. Strong Rope's mission is to focus on local New York State ingredients, so if your mission is to #drinklocal, this is a great place to do it. While the ingredients are all from 'round here, the styles vary and often include several English and Scottish iterations. While it can get crowded with Brooklyn day-drinkers on weekends, usually this is a wonderful spot to start winding down and getting together with friends over a board game. Well friend, you've made it. If the weather's nice, avail yourself of Threes' spacious backyard and outdoor bar, and pat yourself on the back for all you've seen and done today. Personally my favorite thing about Threes (well besides the beer and the space) is their menu, which describes each of their borderline nihilistically-named brews with a few choice adjectives and nouns, up to and including: "Fruit Loops," "Soft," "Piquant," and "Bone Dry". There's no way you don't know what they mean. Threes is also home to my famous Beer Of The Year 2017 Winner: Table Beer. So, friend, by now you're utterly shitfaced. Lucky thing Threes has that Meat Hook inside so you can stave off your high-quality, totally-worth-it hangover with a cheeseburger and some shishito peppers. Check back for future NYC beer bar and brewery crawl maps! Because it would be my honor to assist you in getting drunk.